The Deerfield, Glenview, Lake Forest and Highland Park offices of Berkshire Hathaway HomeServices KoenigRubloff Realty Group, in conjunction with the KoenigRubloff Cares Foundation, are each holding separate events for the company’s annual Week of Kindness. During the Week of Kindness, more than 500 Realtors from 22 offices organize their own events to volunteer time and services to organizations in their respective communities. 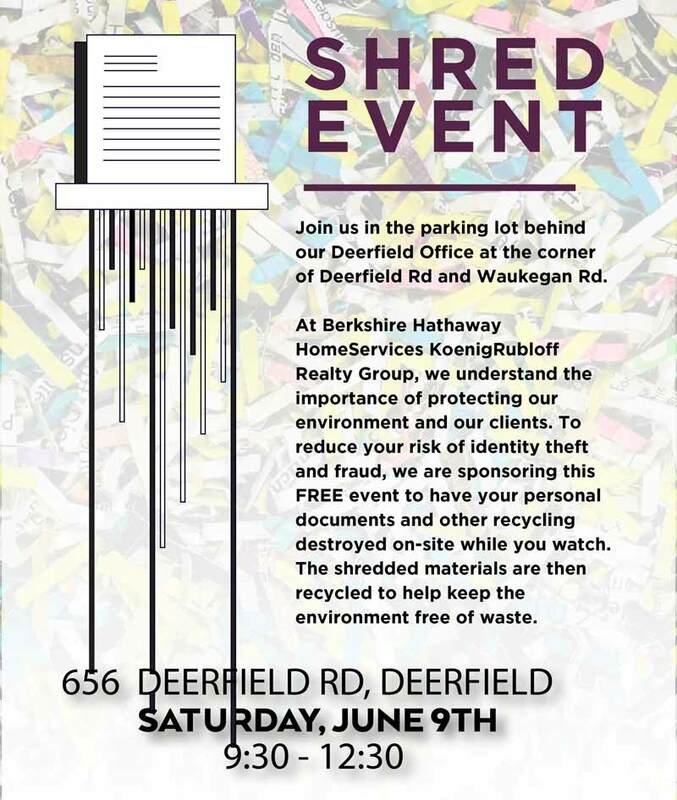 The Deerfield Office, located at 656 Deerfield Road, will be holding a shred event on Saturday, June 9 from 9:30am-12:30pm. The community is invited to bring their personal documents to be shredded on-site, and then recycled. 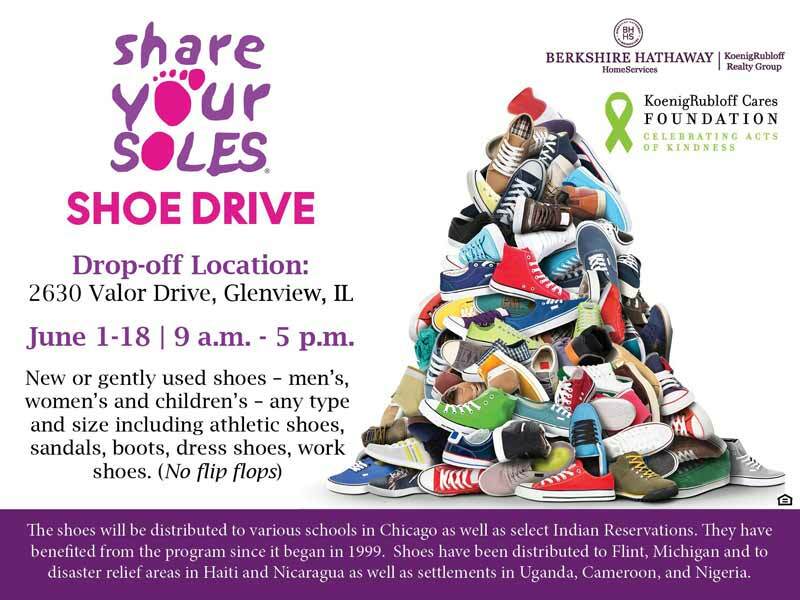 The Glenview office, located at 2630 Valor Drive, will be holding a shoe drive from now until June 18 that will benefit Share Your Soles, an organization that distributes shoes to areas in need. The Lake Forest and Highland Park offices will be holding a diaper drive from now until June 8 to benefit Twice as Nice Mother and Child, an organization that ensures mother’s and children’s most basic needs are met. Diapers can be dropped off at the Lake Forest office located at 778 N. Western Avenue, the Lake Forest Rec Center, Sunset Foods in Lake Forest, Forest Bootery, Lake Forest Bank, Lake Forest Library, and Pennies from Heaven. 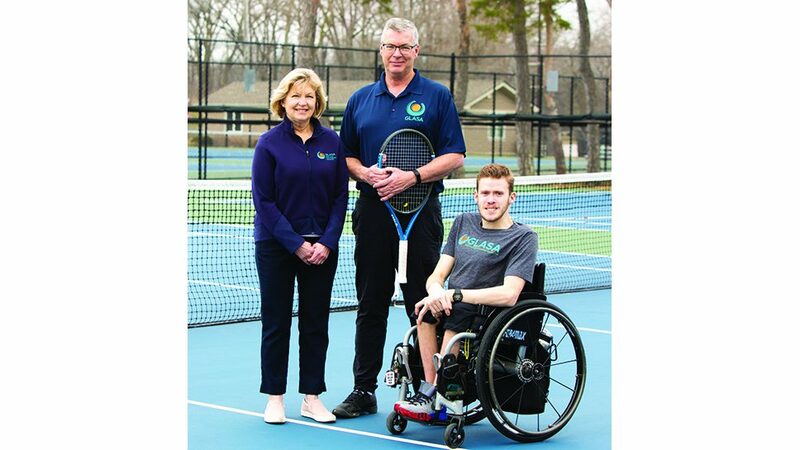 To find out more about the KoenigRubloff Cares Foundation, please visit KoenigRubloffCares.com. Berkshire Hathaway HomeServices KoenigRubloff Realty Group is a full-service real estate firm with nearly 1,500 real estate professionals and staff in 22 offices serving customers throughout the Chicago metropolitan area, the North Shore, Western Suburban communities and Harbor Country, Michigan. Deep local roots are complemented by the extensive global reach of Berkshire Hathaway HomeServices, the top real estate brand in the nation. Affiliated and ancillary services in the form of HomeServices Lending, Fort Dearborn Title, and Fort Dearborn Insurance complete the comprehensive services offered to clients. Visit KoenigRubloff.com.